One of the biggest ways we can alleviate stress in our daily lives is to delegate. 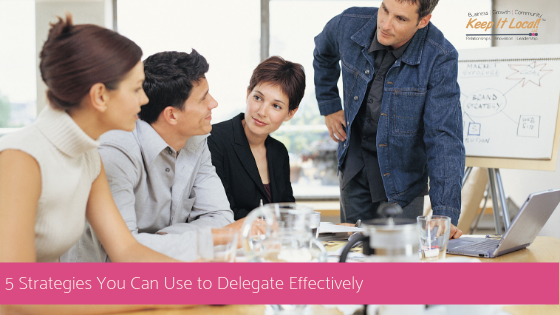 Delegation can work effectively at both work and at home! 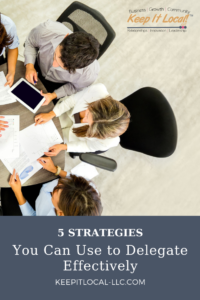 In today’s post, I am going to share with you 5 strategies you can use to delegate effectively starting right now! Strategy #1: Let It Go! Let It Go! Yep! Challenge your inner Elsa (Disney “Frozen” reference). Get used to the fact that it is OK to let some things go. But, remember, letting go doesn’t mean abandoning. It does mean that you check in, measure results, and tweak when necessary. This is huge! Do your employees have the aptitude for certain tasks or projects? Capitalize on that and free yourself up for projects, ideas, and work that pushes the needle of your business forward. Strategy #3: Teach New Things! What can you teach someone on your team to do? Teaching someone to do something widens their skill set making them a more valuable asset to your team. When you teach someone something and trust them with your business…magical things start to happen. Try it. Got tasks? Outsource them so you can be more productive on the BIGGER parts of your business. Consider hiring a VA (virtual assistant) or outsource items by the project through a service like Fiverr. If you haven’t heard of Fiverr, you should check it out. You can get things done starting at just $5 a task. Check it out HERE. Ouch! But it’s true. Just because you are the leader, entrepreneur, or boss doesn’t necessarily mean that you can do it the best. Part of being a leader means that you recognize the genius zones of others and then act on them. Take a moment, look around at your employees and discover who can do the job better than you. Your business will thank you. 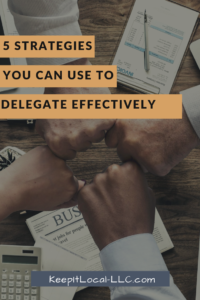 What will you delegate first?